With the pride and satisfaction that comes with homeownership, there are also those inevitable moments of despair, self-doubt, and trepidation at the mountain of work that accompanies a disaster. During the summer of 2013, in the midst of what I had proclaimed would be “the good year,” Jaxon and I were tested twice—“consecutively” might be the better term—by our 1886 farmhouse, a home that has always been more a source of joy than vexation. But, this summer almost tipped those scales. As the year comes to a close, and as I kick myself a bit for not writing more on this blog, memories like this are important for reminding myself what, exactly, I was doing other than writing. The first setback, though worse than we had expected, had been anticipated. 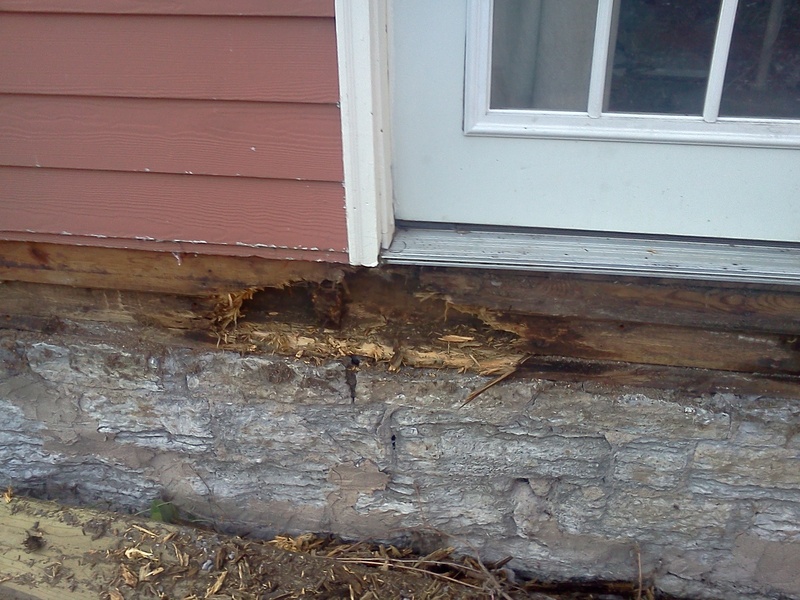 Last year, we noticed water seeping in underneath the French doors that open out onto the backyard from our bedroom. Exploring things a little further, Jaxon found that the back deck, which had been attached by a previous owner, was pulling away from the house. We planned accordingly, knowing that we wouldn’t see the full extent of the damage until the entire wooden structure—deck and pergola—had been dismantled. But, the warning signs were pretty glaring, including a steady stream of carpenter ants into our kitchen during a very wet spring. In mid-summer, we started the arduous task. On weekends, we began pulling off the lumber, discovering to our annoyance that it had been tacked together with an assortment of different screws and nails, most of which had begun to corrode since they were apparently not galvanized. Flush against the limestone foundation sat a pile of leftover hardy board side, left to rot and thus seep moisture into the basement walls. When it was all stripped away, we gazed in silent horror at a small, soggy gash in the side of our house—the rotted flesh of 300 year old redwood, with ants pouring out onto the sunbaked dirt on a 90-degree Sunday afternoon in July. The immediate tears and sagging shoulders gave way, though, to a plan of action. 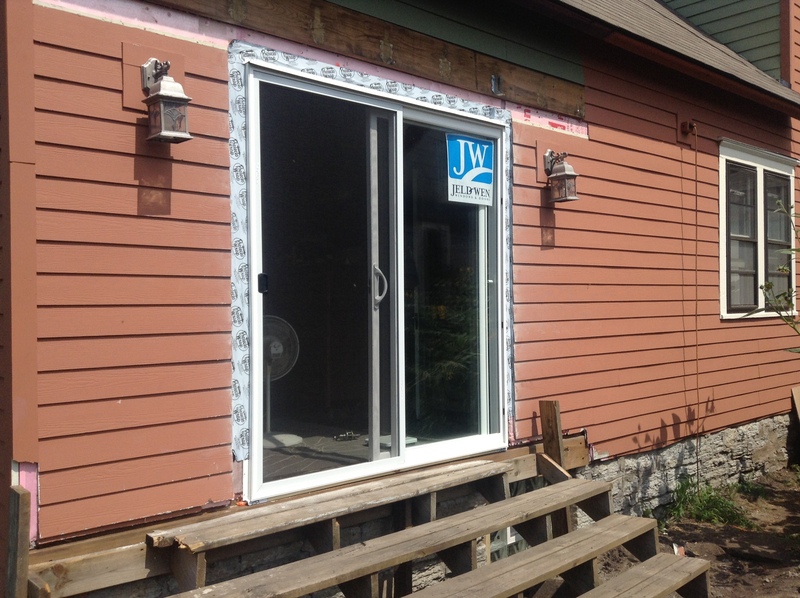 A contractor friend helped us with the work—replacing the damaged rim joist, installed a new sliding door, and adding a support beam in the basement that, inexplicably, had been removed at some point in the house’s past. The worst was over within a matter of a few weeks, and by mid-August we actually were excited about the prospect of re-imagining our backyard before snowfall. Not so fast. The second disaster was a total surprise, and a demoralizing one at that. Just a few days after the sliding door had been installed, we both arrived home late in the afternoon, another high heat day when we planned to do some cleanup in the backyard and maybe grab a swim at the beach before nightfall. Instead, we were greeted by a cascade in the basement, a gushing stream of water that actually didn’t show a trace of damage behind the wall where it originated—everything just poured straight down through the floor. What could we do? In short order, we tore out the wall, removed the sink and toilet, and found a plumber in the neighborhood who would repair the damaged piping. It was clear, though, that if we just patched the leak, we would be doomed to future recurrences, given the age of the galvanized pipes behind the wall. So—although exhausted already from the backyard and having spent most of our reserves already—we had little choice but to plunge into rebuilding and remodeling the bathroom. Another two months passed, but thanks to Jaxon and our plumber’s due diligence, the job was done right and the wall was rebuilt. 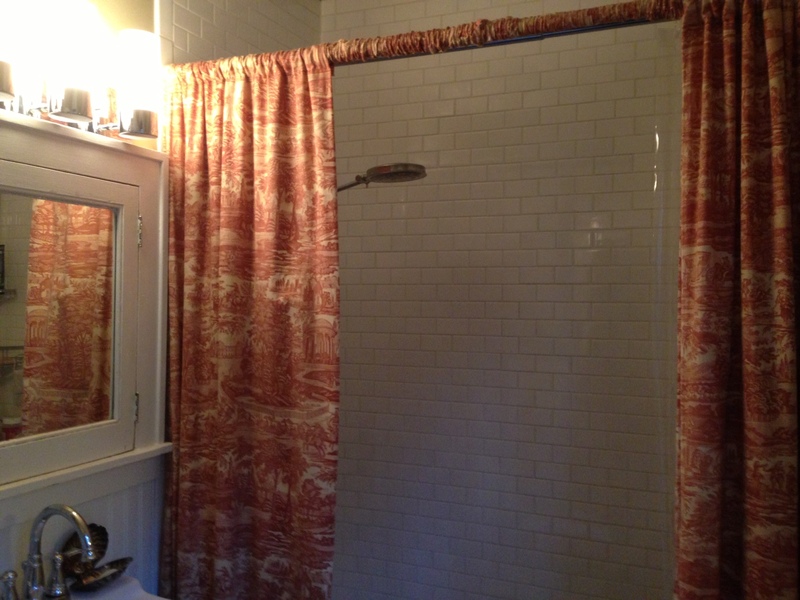 Jaxon took his time to beautifully tile the bathtub and shower walls, and we hung a new sink (replacing the ancient fixture with a wobbly hot water tap that liked to splash our crotches). 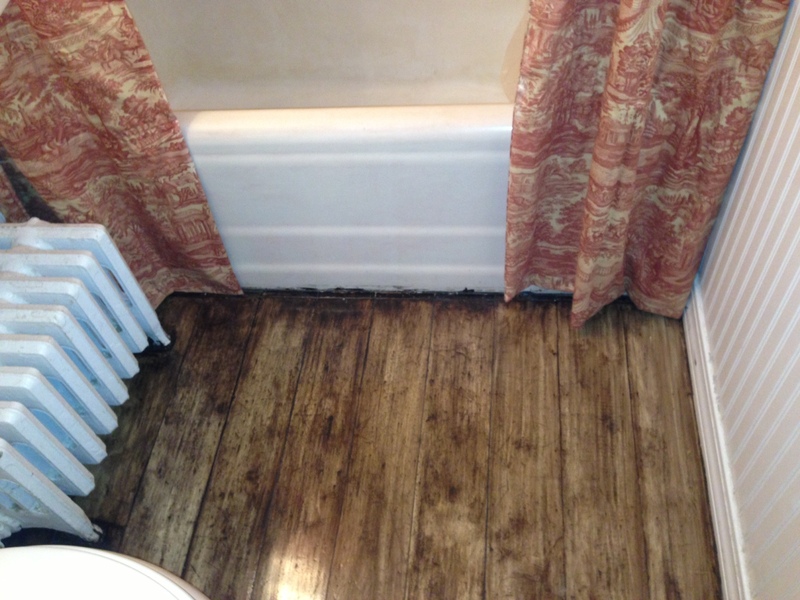 The wooden floor, slightly worn and burnt from the soldering of the pipes, was stained to look like planks from an old barn. 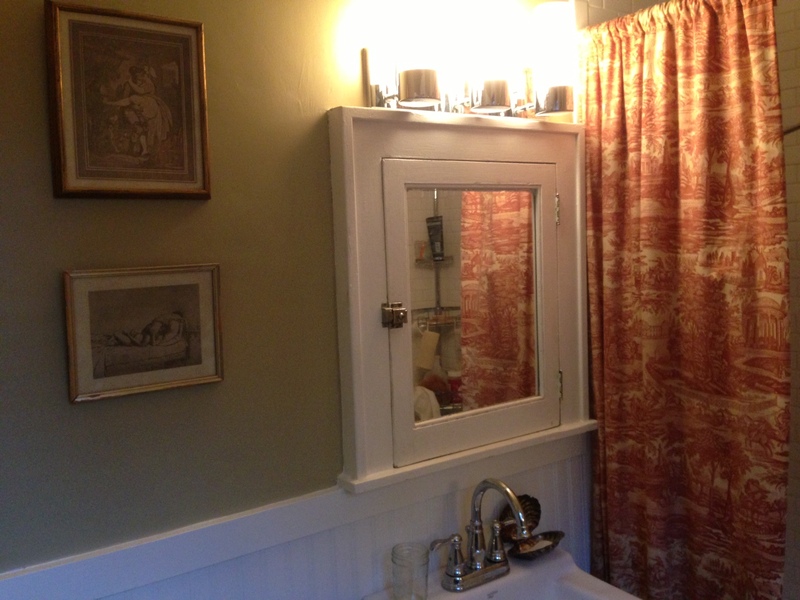 In mid-October, with much relief, we moved back into our bathroom. I had no idea that such a displacement—sharing the upstairs facilities with our housemates and seeing our dining room filled with various toiletries for week after week—could have such a psychological effect. And, as is true with everything my beloved partner does, the end result was far better than what we’d had before the damage. Did I mention the exquisite flooring? As for the backyard, we piled up the leftover lumber, shored up our temporary back steps, and let it sit until next spring. We’ll take the time to think through a more complete vision for the space, and then we’ll do it the right way. (I still want a hot tub.) I can’t help but love this house even more than before. Despite the best efforts of the shortsighted humans who have owned it over the years, this old structure—with bones of redwood—continues to endure and survive these slights. Part of why we both want to grow old here is the sense of obligation we feel toward this humble but grand old house. According to the abstract, the original structure was classified as a barn in 1886. In 1894, it was completed as a homestead. In 1897, the foundation and basement were added. 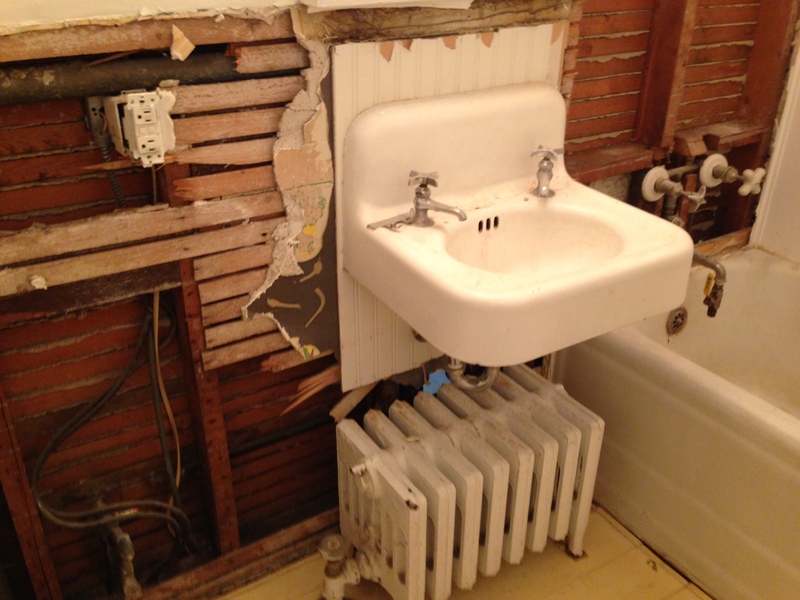 Plumbing and electrical wiring were installed in 1907. A great deal of the original woodwork remains intact, and it’s beautiful. Moreover, our relationship to the house, and to each other, continues to grow richer both from the work we put in (especially Jaxon), and by the stories we gain from taking what was left to us and turning it into something better than we had before.